The Network Journal (TNJ; TNJ.com) announces Morgan Stanley (http://www.morganstanley.com) as the Presenting Sponsor of our Twentieth Annual Influential Black Women in Business Awards and unveil its 2018 list of 25 Influential Black Women in Business honorees. ?The women we honor in the 20th year of the awards span occupations, industries and expertise, and they share the same traits when it comes to their career and community service: passion, drive and focus. We salute them for achieving significant levels of success in their businesses and professional careers, and for their myriad contributions to their community,? states TNJ Publisher and CEO Aziz Gueye Adetimirin. This select group will be profiled in the spring 2018 issue of the magazine, and will be formally honored during Women?s History Month at the 20th Annual 25 Influential Black Women in Business Awards Luncheon, presented by Morgan Stanley, on Friday, March 16, 2018. This highly anticipated signature TNJ event will be held at the New York Marriott Marquis Hotel, located at 1535 Broadway (between 45th & 46th streets) in New York City, from 11:00 a.m. to 2:00 p.m. This year?s sponsors include Presenting Sponsor Morgan Stanley. Additional sponsors include AT&T and Bronner Brothers. 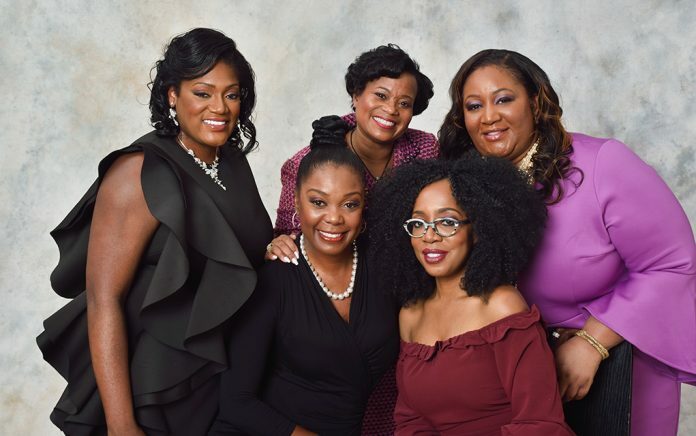 Launched in March 1999, The Network Journal‘s 25 Influential Black Women in Business Awards honors women whose professional achievements have significantly impacted an industry or profession, and who also have made an important contribution to her community. A “TNJ25″ honoree typically is a business owner, or a partner, president, CEO, board chair, or other senior-management executive with significant decision-making authority in the corporate, nonprofit (including academia and medicine), or government sector.